I am very excited to let you know I have decided to start art workshops for people in recovery. Having had a personal experience with eating disorder and addictions, I know how much art helped me on my own journey. I felt there might be a need to have fun, safe, stimulating place for likeminded people to engage and socialise, whilst exploring their creativity and self- expression. We will cover a variety of themes and techniques. Given my background and what I specialise in as an artist, the first set of workshops will focus mainly on portraiture. The workshops are to start in the 3rd week of January. 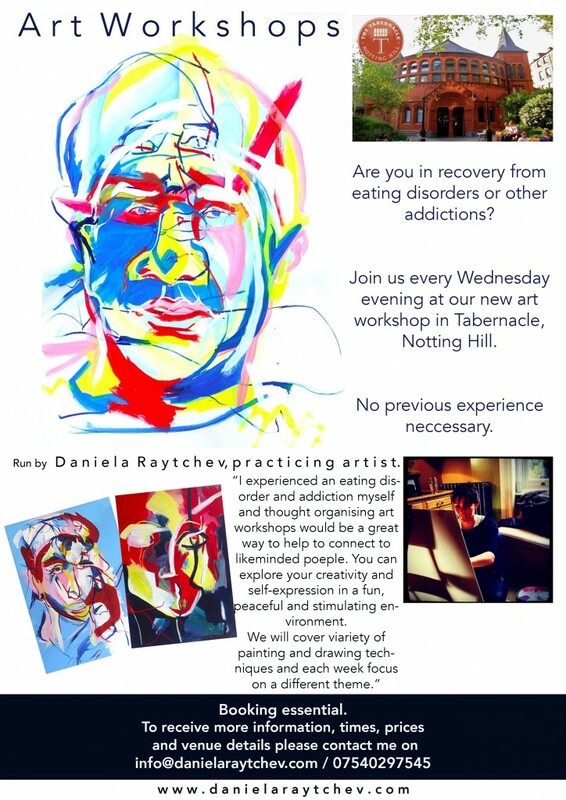 Please email info@danielaraytchev.com to request more information, I am looking forward to hearing from you!